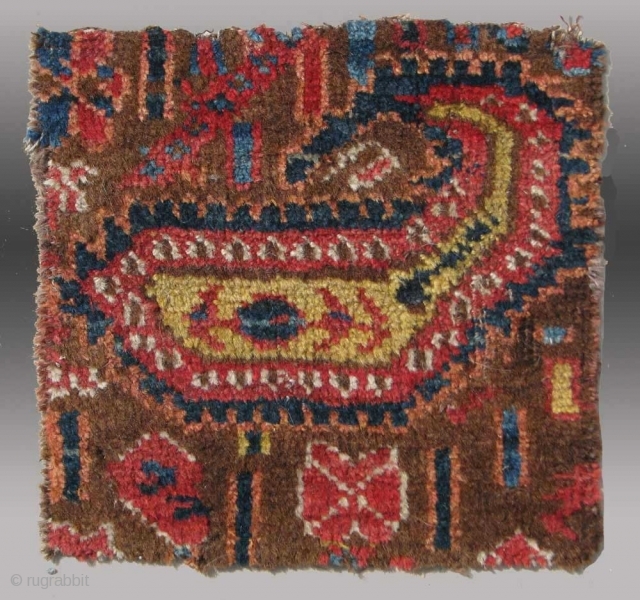 Believed to be a fragment from the border of what was once a very grand carpet attributable to the middle Amu Darya region of Central Asia, the imagery is irresistible and appears to depict a bird, with a curvilinear beak and head. 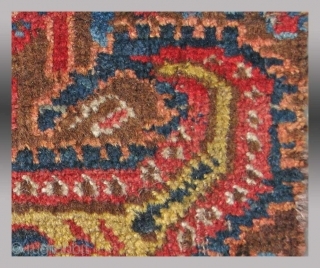 Most would say it is a boteh, but the appearance of botehs in the art of Central Asia is not without meaning, one of which may be as representative of birds. 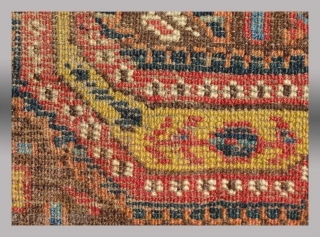 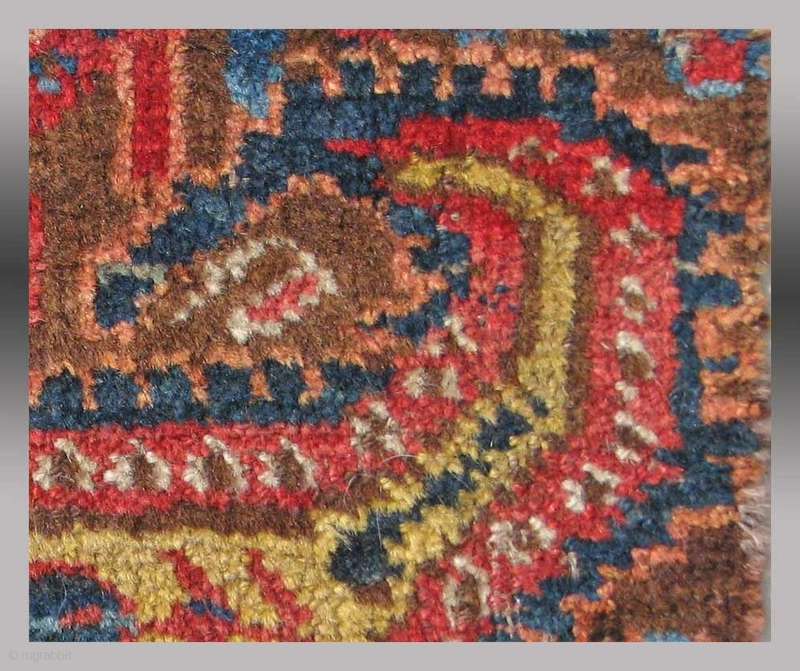 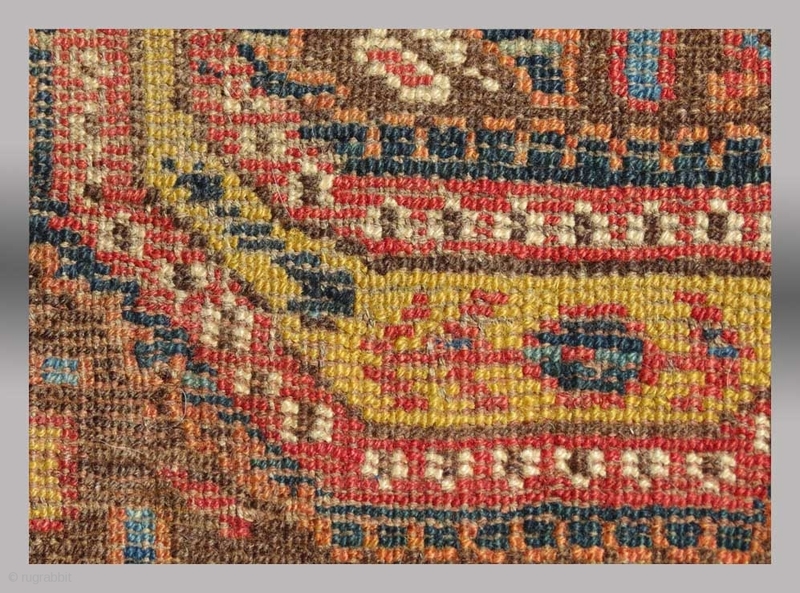 Birds have always been a subject seen in rugs and textiles from Central Asia.